I’ve lived in some dreamy cities of Southern California, but La Jolla has by far been the dreamiest. Here is a quick travel guide to all of my current favorite spots. Perfect for a stay-cation or weekend getaway! This will in no way constitute a comprehensive list but is a great place to start. There is so much to experience in this tucked away beach town and I’m still exploring it myself! It always surprises me how happy I am to fly into San Diego airport after being anywhere amazing and tropical. I remember coming home after a 7-day Caribbean cruise feeling this way. I was so happy to look out the airplane window and see the familiar beaches below. Something to be said for that! After many years of traveling, I am finding myself sticking closer to home during summer and holidays. California has so many attractions and beautiful places to explore. It’s smart to keep a running list of restaurants and towns you’ve never been because it makes road trips and weekends easy to plan. 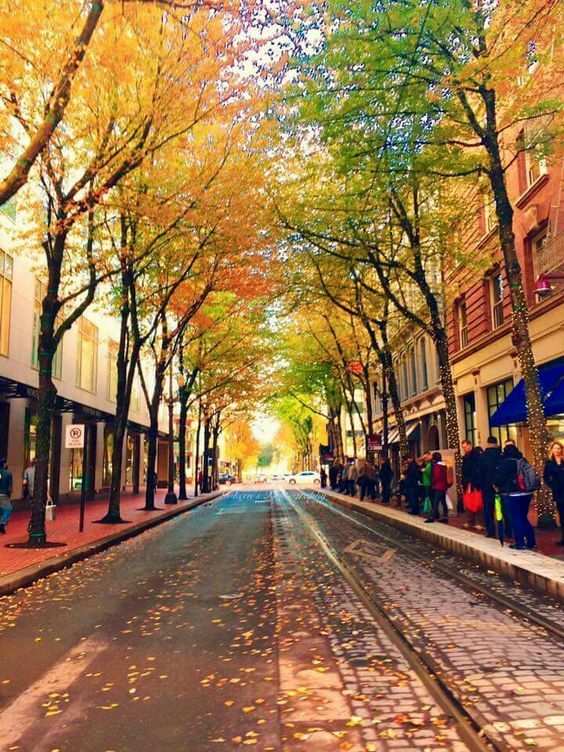 Stay at a local hotel, or book an Airbnb using this link and save $40! Airbnb is best if you are looking to save on accommodations and would like access to a kitchen. Always follow the real estate mantra of “location, location, location” and live in the best spot! 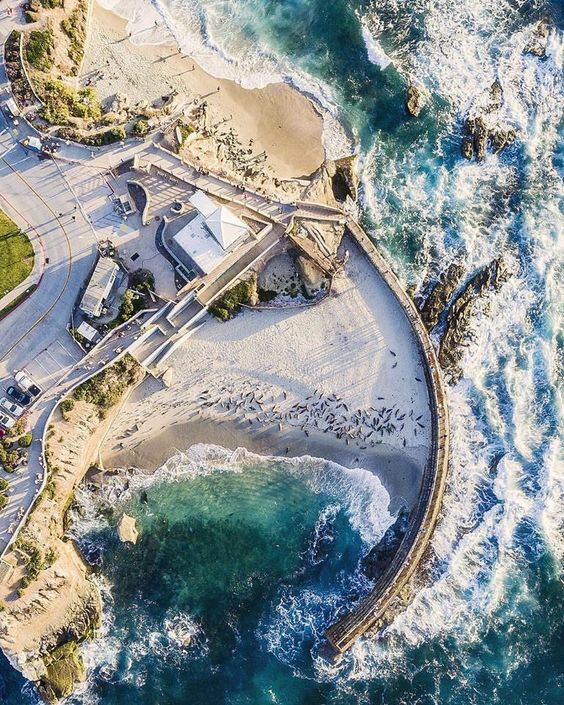 La Jolla means “the jewel” in Spanish and I feel it aptly describes the tucked away nature of its beautiful canyons and beaches. 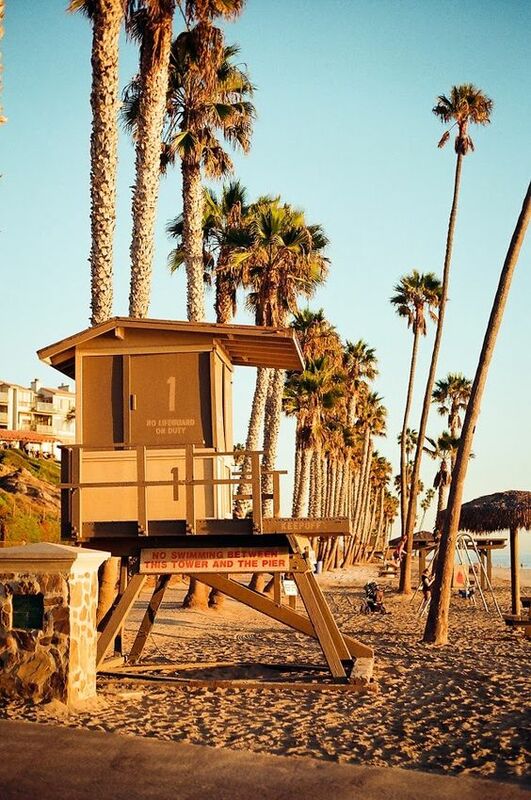 Like the rest of San Diego, we enjoy a mild, Mediterranean climate between the mid-sixties and mid-seventies year round. May gray and June gloom certainly come around every year when the temperatures cool. That makes early Spring and late summer the best times to take advantage of amazing weather. Don’t live nearby? There are a myriad of beautiful hotels and little bed and breakfasts worth checking out in La Jolla. My favorite is La Valencia Hotel, which is rich in history and had a recent facelift in 2015. 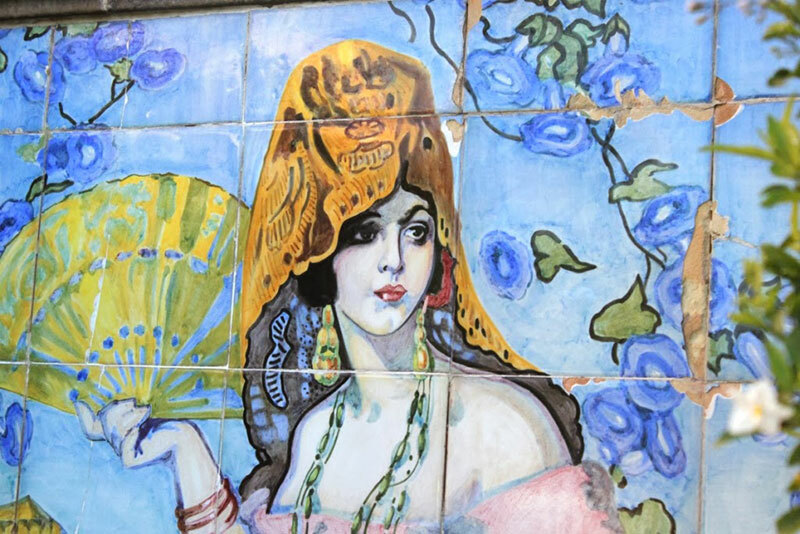 The hotel is also lovingly known as “The Pink Lady” due to the iconic mural located in the garden terrace. I love a hotel with a history and you can’t beat the location! 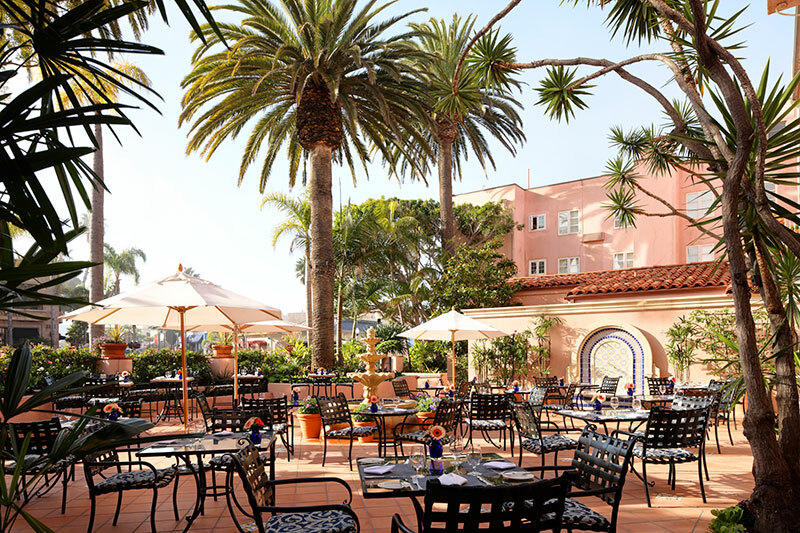 Just steps from La Jolla Cove, the hotel is nestled in the center of the city’s shopping mecca, too. The rooms are luxurious and the pink decor is beyond charming. Be sure to check out Accidentally Jetset and Bishop and Holland for more great photos and reviews. Impeccable service and amazing food have given La Valencia Hotel a reputation as one of the best oceanfront hotels in California. Now that we’ve got you situated in a swanky hotel, let’s get you out on the town! 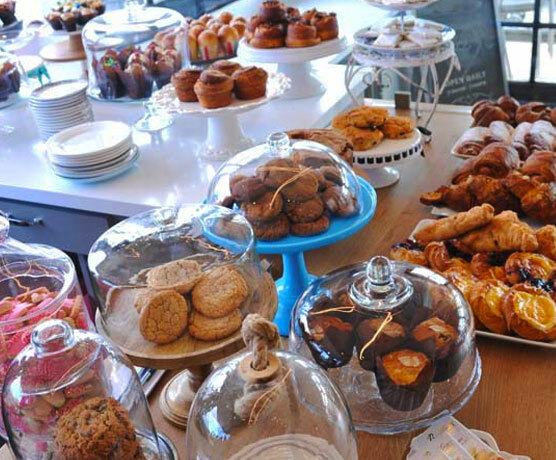 My #1 favorite spot for breakfast or coffee is Sugar and Scribe Bakery, just up the street. Their breakfast (and lunch) menu has your traditional pancakes and waffles created by Chef Maeve Rochford. Chef Maeve is Food Network’s Holiday Baking Championship Winner, so be sure to visit her website Chef Maeve for baking tips and more! Now that you’re caffeinated and full, time to walk it off. As I mentioned, La Valencia Hotel is right at the base of the La Jolla Gaslamp District. The Gaslamp District is where the majority of the shopping and dining happens. It’s fun to walk up and down the few blocks of boutiques and do some window shopping. Shop at LF for sure if you need some amazing shoe or fashion satisfactions. 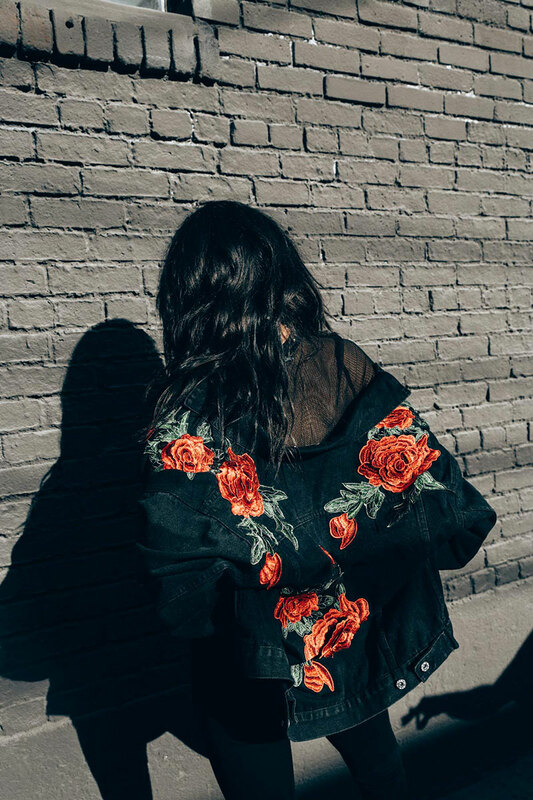 They’ve got the latest embroidered styles (my favorite) and footwear that will boost your street style ratings for sure. Check out the murals and wall art as you walk around town. Music Alert! All this talk about girls weekends got me thinking of this track. Outta’ sight, ladies! 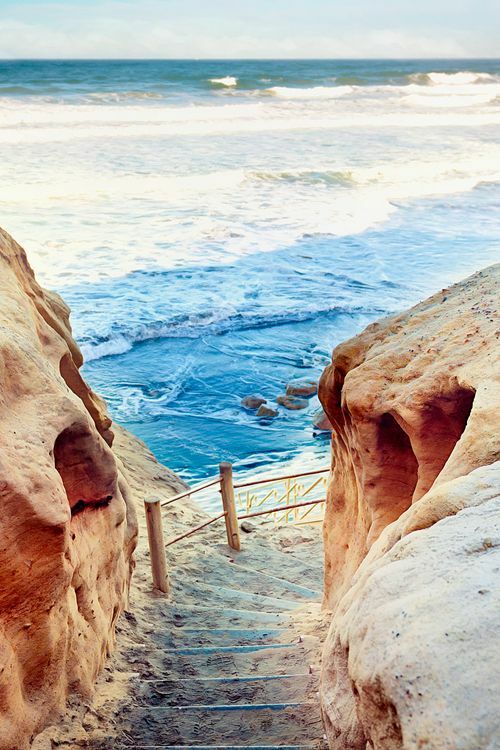 La Jolla has a myriad of beach activities available such as kayaking and exploring sea caves. 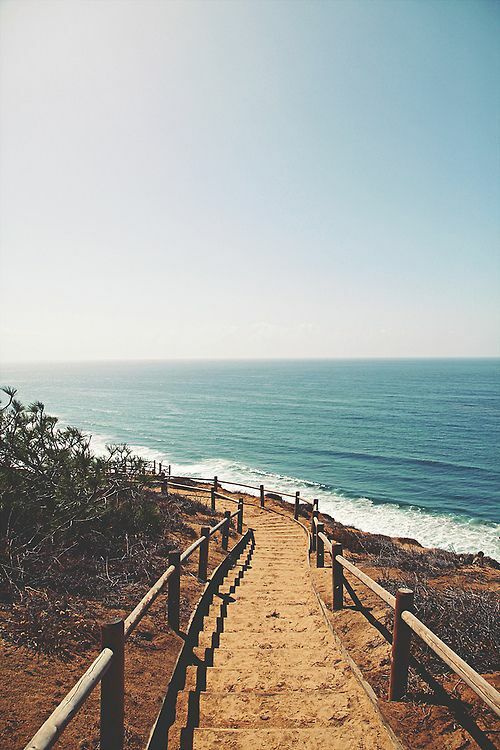 Personally, I just love to hike along the beach and take in the beauty of the shoreline. Below the Gaslamp District is La Jolla Cove and a winding path that follows the beach. 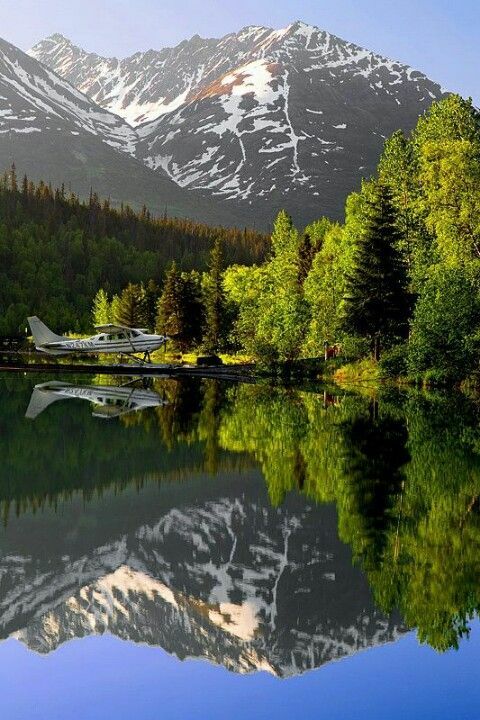 It’s perfect for a morning stroll or catching an evening sunset. If you’re looking for one of the best beaches in Southern California, head north to La Jolla Shores. The water is fairly shallow and the sand is perfect and white. Looking for something more active? 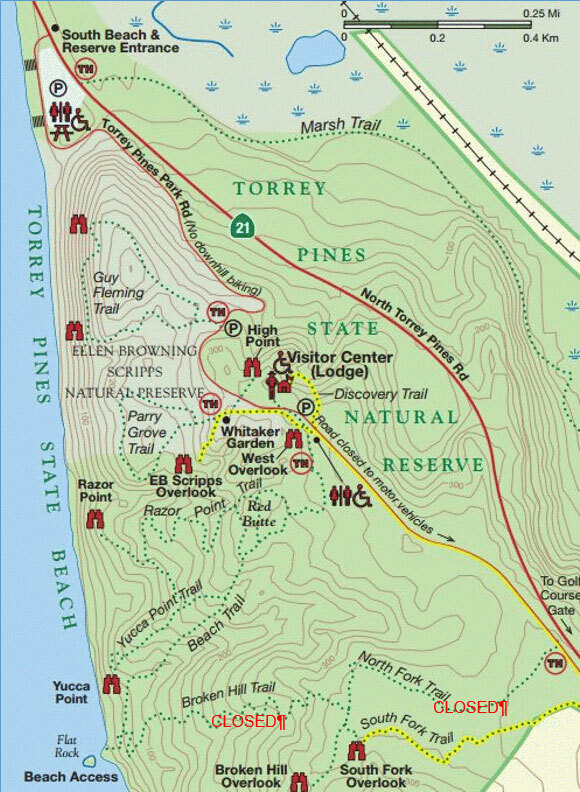 I usually drive north to Torrey Pines State Natural Reserve and trek up the hill south of the entrance. 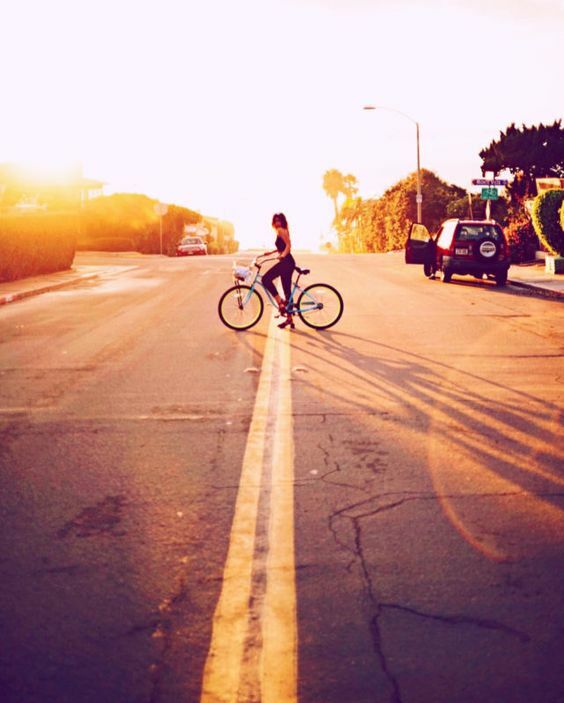 No need to pay for parking – just park alongside the PCH in front of the beach or down on Carmel Valley Road. If you park on Carmel Valley, you can access the beach through an underpass. Easy breezy and no waiting for someone to leave so you can take their prime spot. 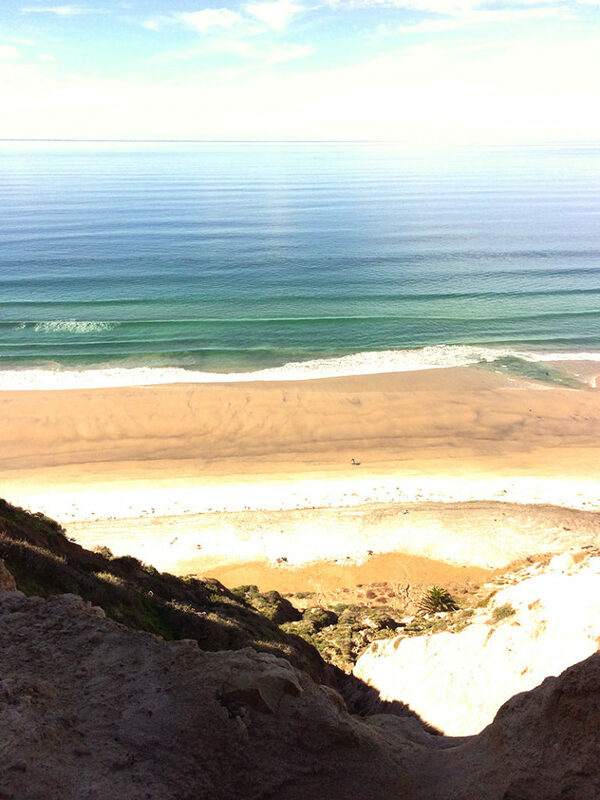 I do the 3 mile Beach Trail loop up Torrey Pines Park Rd. and down through the canyon on the beach. The views are stunning and walking along the beach barefoot is the ultimate reward at the end. Most of La Jolla is about being outside and enjoying the beauty of nature. 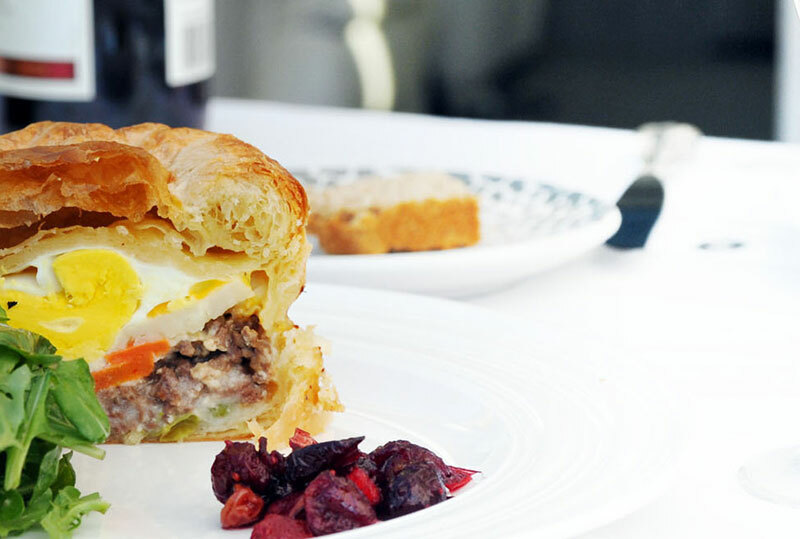 When you get hungry, there are a couple of great little places that I recommend. 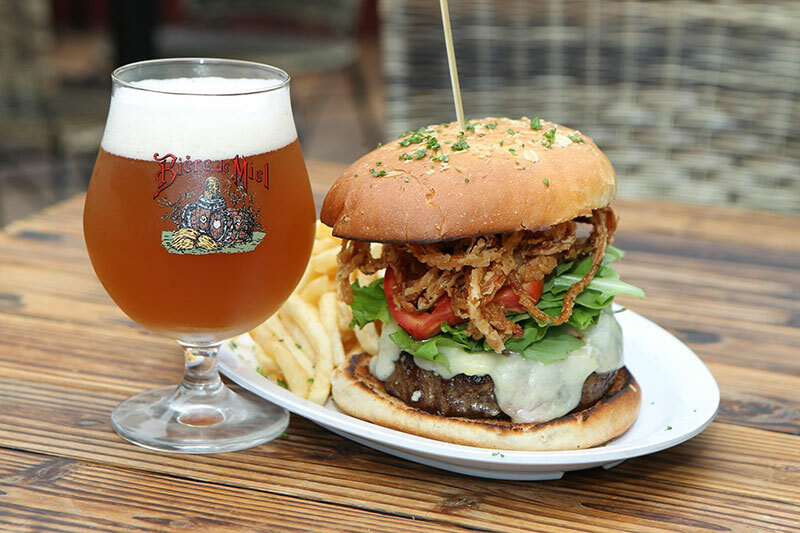 If you are a burger lover, be sure to hit up The Public House across the street from Sugar and Scribe. The Public House is a “renovated bungalow turned cozy pub” set up for chilling outside. The Public House menu is amazing and they change their draft beers daily so be sure to check their current draft list. They serve a flight of 4 tasters for $10 so you can try a few if you like! My foodie friend Rachel is a burger connoisseur and I was able to meet her satisfaction with this hidden gem. Score one point, moi. In a hurry? If you’re over by LF, walk across the street to Puesto. Puesto La Jolla is a quick stop and has the healthiest Mexican street food in town. I especially appreciate their vegetarian and gluten-free choices. Puesto makes 4 different types of guacamole, including a version with Brussels sprouts and bacon, no big deal. If you’re here during the week, be sure to stop in for Taco Tuesday! You can score $2.50 tacos and $6 margaritas and have a grand ole’ time on less than 10 bucks. 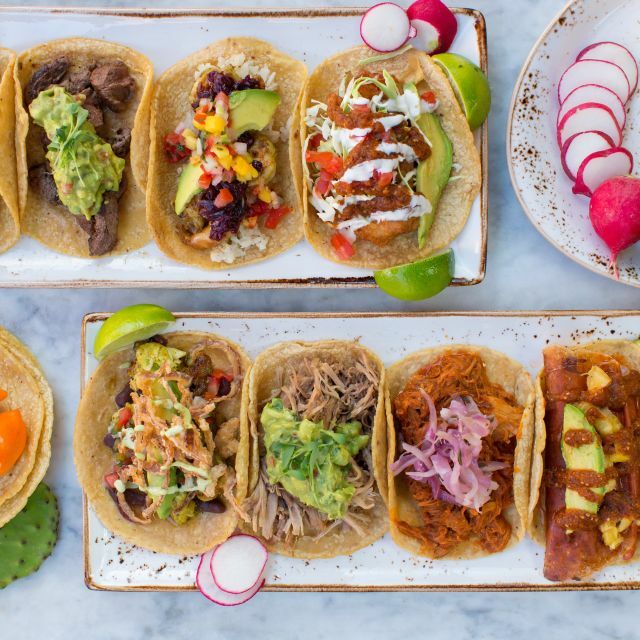 If you’re sticking to the Gaslamp District and want cocktails, dinner, or weekend brunch, head two blocks south-east from Puesto to Herringbone. Their atmosphere is the highlight, in my opinion. 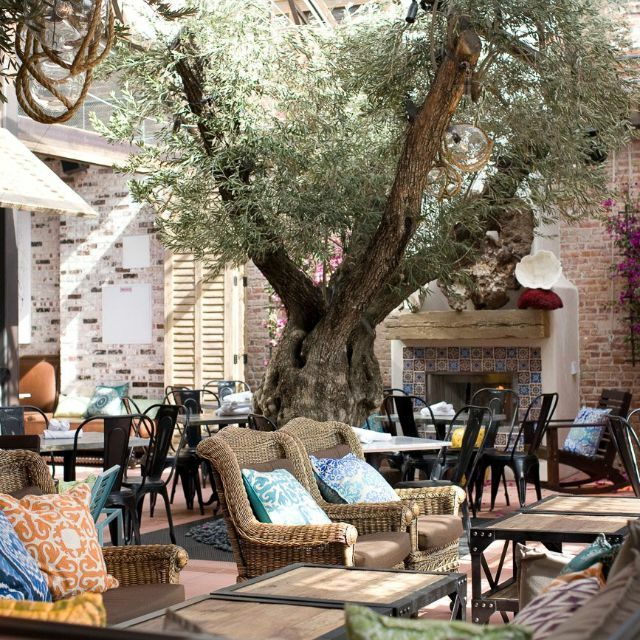 I can’t get enough of the 100-year old olive tree growing in the middle of the restaurant. Herringbone is a great place to mingle and socialize, or meet up with friends. Exposed brick and Spanish tile is just the icing on the cake! 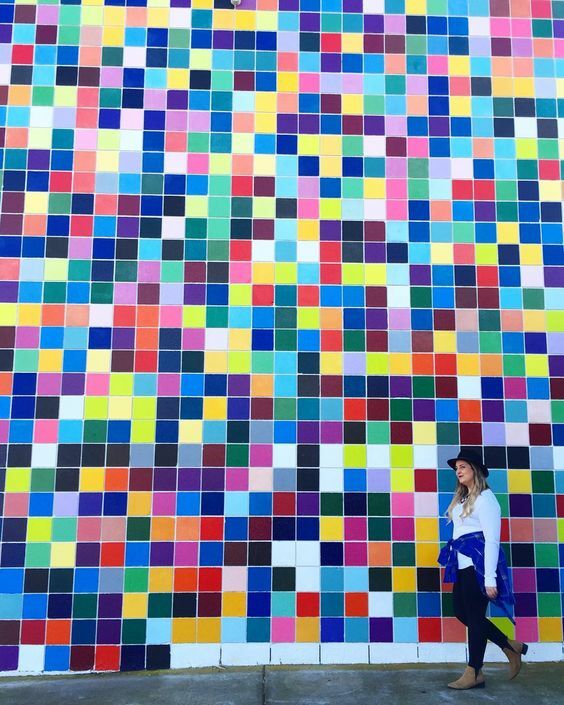 The Museum of Contemporary Art is one to add to your watch list. They just shut the museum down this month for a massive renovation and expansion project. When renovations are finished, the museum will be 4 times in size, with the addition of a public park! Specializing in minimalism and Pop Art of the 1960s and 1970s, there is always an exhibition or event worth attending. 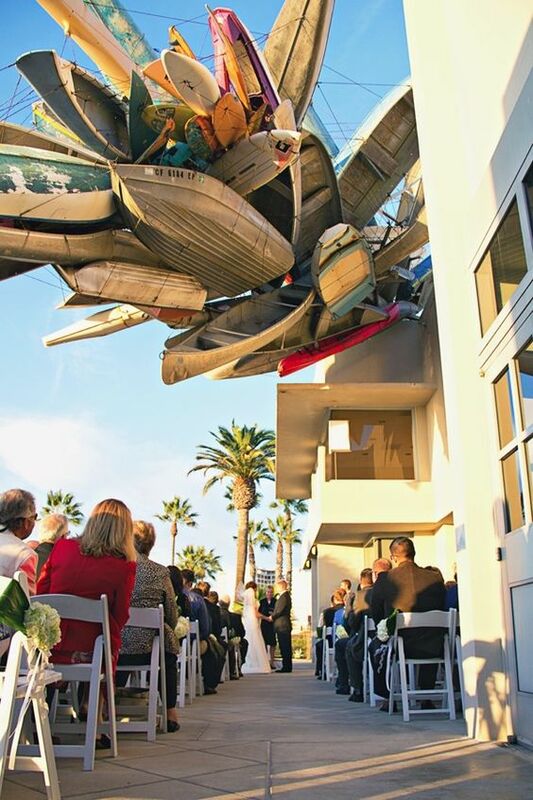 You can’t miss Nancy Rubins’ Installation, Pleasure Point from the boardwalk along La Jolla Cove! Finally, a girls weekend isn’t complete without a farmer’s market. Not sure how this turned into a girls weekend, but I’m rolling with it! 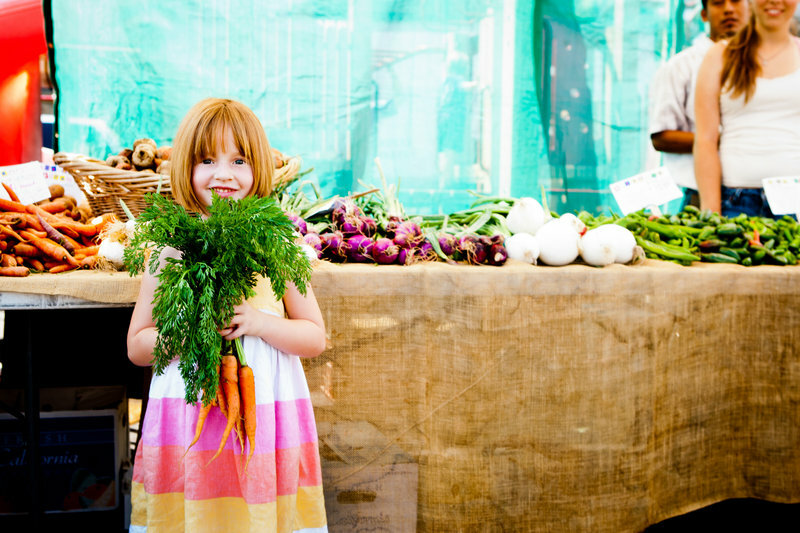 La Jolla does a “Farm to Beach” market every Sunday from 9:30 am – 1:30 pm. The Open Aire Market is located on the corner of Girard Avenue & Genter Street and all proceeds benefit La Jolla Elementary School. They are hosting a Spring Fling March 8, complete with Easter egg hunt, so mark your calendars! Book your stay-cation or vacation soon and use this handy little guide as a reference. The best thing about La Jolla is the easy-going vibe no matter where you go. There is always something to see or do, but everything can be done at your own pace. Temperatures are finally warming up and the sun is out this week, so take advantage! Let us know what else you find by leaving a comment below. Also, take a second to sign up on our email list. We’d love to keep you in the loop with new articles and promos. And, as always, thanks for stopping by (but mostly, stay classy). Excellent!! I’ve been to San Diego and La Jolla a few times but have missed most of these sites and suggestions!! Ready to come back now with your blog! Thank you thank you!! Oh great Becky – thank you! Glad to be of service 🙂 There are a lot of hidden hot spots throughout San Diego that I’m excited to write about this year. Stay tuned..